COLORADO AUXCOMM BILL IS NOW LAW! (L-R) Senator Chris Holbert (R), Robert Wareham, NØESQ (SEC/SGL), Jack Ciaccia, WMØG (SM), Jeff Ryan, KØRM (ASM), Perry Lundquist, W6AUN (ASEC), Representative Jonathan Singer (D) and seated is Colorado Governor, John W. Hickenlooper. (Denver, Colorado)—The State of Colorado is leading the way in formally implementing the recommendations contained in the Federal Communications Commission’s (FCC) report to the United States Congress regarding utilizing amateur radio operators during disasters and emergencies, GN docket number 12-91. Colorado’s House Bill 16-1040 was signed into law today (June 6, 2016) by Governor John Hickenlooper creating the Auxiliary Emergency Communications Unit in the state’s Division of Homeland Security and Emergency Management in the Department of Public Safety. The law passed through all legislative committees and both houses of the Colorado General Assembly unanimously. “The unanimous support of the Colorado Legislature on the AuxComm Bill serves as testimony to the level of cooperation that currently exists between the State of Colorado and members of the Colorado Amateur Radio Emergency Service. This Bill will make it possible for Colorado ARES to further enhance the level of emergency communications services during times of need within our State,” said ARRL Colorado Section Manager Jack Ciaccia. The new law was conceived by Colorado Section Emergency Coordinator and State Government Liaison Robert Wareham, NØESQ, while sitting with DHSEM staff in a restaurant after completing FEMA’s Office of Emergency Communications (OEC) Auxiliary Emergency Communications course in the early summer of 2012. Over that same summer, and the next year, Colorado experienced multiple major disasters including wildfires that destroyed several hundred homes and a 500-year-flood that inundated much of north central Colorado. Amateur radio operators played key roles in responding to all of those disasters. “The real-life laboratory of successive major disaster helped us quickly realize the need for statewide response capabilities; which ideas worked, and which ones didn’t,” said Wareham. “In essence, we had the perfect storm of major disasters, FCC recommendations to Congress, and FEMA OEC sponsored training to bring it all together into the current auxiliary communications framework,” he added. Under provisions of the new statute, Colorado ARES will enter in to a section level Memorandum of Understanding (MoU) with the state’s Office of Emergency Management to recruit, train, credential, coordinate, and supervise members of the Auxiliary Emergency Communications Unit. “Too often valuable amateur radio resources are diluted by having multiple organizations in a single community competing with one another, such as having separate ARES and RACES organizations in a single county. Under the Colorado Model, all Colorado ARES members who meet the training and background check requirements of the AuxComm Unit will be issued credentials that will be recognized statewide,” Wareham explained. The law expressly provides that the AuxComm Unit performs all RACES functions for the state. Wareham, an attorney, drafted the original bill and presented it to Representative Jonathan Singer (D-Boulder County), whose district had been severely affected by the 2013 floods; and Senator Chris Holbert (R-Douglas County). Singer agreed to be the prime sponsor of the Bill, while Holbert agreed to carry it in the state Senate. “It took longer than we expected, but in the end, the wait was worth it,” noted Wareham. In a tight budget year, the Colorado House made the bill one of its top ten priorities for discretionary funding by that body. In negotiations near the end of the session, Senate leaders agreed to match House funding from its discretionary funds to clear the way for passage of the Bill. “The way we envision the amateur radio emergency communications community in Colorado is as a triangle with the tip pointed up. On the base level are all amateur radio operators. Hams who show an interest in community service join ARES® and complete some training. The top tier of the triangle are hams who show a commitment to emergency communications by an investment in equipment, uniforms, go kits, and advanced training. Obviously, the farther up the triangle you move, the more commitment and training are required. Colorado AuxComm certification will also require a criminal background check,” Wareham added. “When a disaster strikes that crosses multiple local political jurisdictions the state steps in to support local first responders. In the same way, AuxComm members will be mobilized statewide to provide emergency communications support,” he explained. Auxiliary Communicators will receive state issued identification cards based upon OEM’s Salamander credentialing system—the same system used to credential full-time employees of the office. Local agencies can receive the volunteers knowing they meet specific training standards and have been vetted. Local governments will be encouraged to create their own AuxComm units made up of operators meeting the state credentialing requirements to utilize in local emergencies. The law expressly prohibits any organization from representing that it is an Auxiliary Communications Unit unless its members meet the credentialing requirements established by the state. While the bill makes it clear that the unit is comprised of unpaid volunteers who are ham radio operators, it, for the first time, authorizes the reimbursement of reasonable and necessary expenses of auxiliary communicators. The bill also broadened the circumstances under which any disaster volunteer, not just auxiliary communicators, would receive Workmen’s Compensation benefits and tort immunity, similar to state or local government employees. The law also includes auxiliary communicators among those volunteers who cannot be terminated from employment for responding in support of a declared emergency. “This statute puts volunteer Amateur Radio operators on an equal footing with volunteer firefighters and other rescue workers with respect to legal benefits and protections. 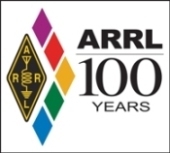 “The efforts of the Section ARRL officials in partnering with legislators on both sides of the aisle in the state house and senate serves as a model of how to work with lawmakers to protect and enhance Amateur Radio in Colorado,” said ARRL Rocky Mountain Division Vice-Director Jeff Ryan. Finally, the statute authorizes OEM to expend funds in support of strengthening the amateur radio infrastructure in the state of Colorado; and the General Assembly appropriated roughly $60,000 to administer the new program in the 2016-2017 budget year. In 2012, Congress ordered the FCC to study the role of amateur radio operators and whether there were impediments to their expanded use during disasters and other emergencies. The FCC was given six months to investigate, gather comments, and report back to Congress. That report, GN docket number 12-91 recommended that the federal Department of Homeland Security (DHS) work with state, local, and tribal authorities to develop disaster area access policies and qualifications for trained amateur radio operators who provide emergency communications support. Colorado is believed to be the first state to formally create an AuxComm Unit by statute addressing many of the recommendations sent to Congress. This is the second year in a row that a bill supporting amateur radio has unanimously passed out of Colorado’s General Assembly. Last year the State of Colorado codified the limited federal preemption of PRB-1 into Colorado law. Prior legislative successes include language limiting the scope of a tower painting bill on agricultural lands, and a provision specifically exempting amateur radio operators from the provisions of the hands-free cell phone bill in 2009. Wareham has now testified six times before legislative committees in support of amateur radio. In one of this year’s hearings one lawmaker actually questioned, “Weren’t you here last year?” The new law takes effect on August 10, 2016. Wareham hopes to have the MoU between Colorado ARES and DHSEM in place by then. Colorado’s PRB-1 Bill – SB 15-041 Presented by Senator Chris Holbert (R) and Representative Kevin Van Winkle (R) PASSED both the House and Senate Government committees UNANIMOUSLY without amendments. The Bill went on to a second and third reading and again PASSED UNANIMOUSLY without amendments. The Bill was signed into Law on March 13, 2015, by Governor John W. Hickenlooper (D). Special thanks to Robert B. Wareham NØESQ, our ARRL Colorado State Government Liaison for getting the Bill written and introduced by Senators Holbert and Van Winkle as well as testifying in committee. Here is the bill formulated by our ARRL Colorado Section Government Liaison, Robert Wareham, NØESQ that has been passed by the Colorado Senate and recommended without amendments and will now be presented shortly to the House for their approval. Thanks to Senator Chris Hobart (R) and Rep. Kevin Van Winkle (R) House District 43. The ARRL Legal Counsel, Chris Imlay presented legal case precedents to be introduced as well. This should help hams considering tower installation to have the state adoption of PRB-1 pre-empt onerous local city and county antenna rulings. PRB-1 can now be introduced and decided at Colorado County Court proceedings versus having to be brought before the much more expensive Federal Court to be argued. Similar bills like this have been passed in 31 other states, so far. A BILL FOR AN ACT CONCERNING A REQUIREMENT THAT LOCAL GOVERNMENTS REGULATE AMATEUR RADIO COMMUNICATIONS IN ACCORDANCE WITH AN EXISTING FEDERAL PREEMPTION ESTABLISHED BY THE FEDERAL COMMUNICATIONS COMMISSION. The federal communications commission (FCC) currently limits the authority of local governments to regulate amateur radio communications. Any local government regulation must be based on health, safety, or aesthetic considerations must be crafted to reasonably accommodate amateur radio communications, and must represent the minimum practicable regulation to accomplish a legitimate purpose of the local government. This federal preemption is contained in a memorandum opinion and order from the FCC known as “PRB-1”. The bill specifies that no local government shall enact or enforce an ordinance or resolution regulating amateur radio antennas that fail to comply with the restrictions contained in the PRB-1. 29-20-109. Local government regulation of amateur radio antennas. REQUIRED TO ACCOMPLISH THE LOCAL GOVERNMENT’S LEGITIMATE PURPOSE. SECTION 2. Act subject to petition – effective date. This act takes effect at 12:01 a.m. on the day following the expiration of the ninety-day period after final adjournment of the general assembly (August 5, 2015, if adjournment sine die is on May 6, 2015); except that, if a referendum petition is filed pursuant to section 1 (3) of article V of the state constitution against this act or an item, section, or part of this act within such period, then the act, item, section, or part will not take effect unless approved by the people at the general election to be held in November 2016 and, in such case, will take effect on the date of the official declaration of the vote thereon by the governor. BY REPRESENTATIVE(S) Sonnenberg, Labuda, Moreno, Rosenthal; also SENATOR(S) Brophy, Guzman, Heath, Herpin, Jones, Rivera, Schwartz, Tochtrop, Todd. (j) It is critically important to the safety of aircraft pilots and passengers using low-level airspace that the state require the adequate marking of towers that are greater than fifty feet but less than two hundred feet in height. 43-10-117. Towers – marking – definitions. (a) “HEIGHT” MEANS THE DISTANCE FROM THE ORIGINAL GRADE AT THE BASE OF A TOWER TO THE HIGHEST POINT OF THE TOWER. *** Editorial note: That wording may seem innocuous on first read, but the legalese word “Curtilage” nearly always includes (a) the open fields if not posted. (b) commercial premises. (c) the backyard of a house. (d) the sidewalk in front of a house. “Curtilage” nearly always includes (a) the fenced area immediately surrounding a house. (b) the area enclosed by a fence even if it is not near the house. (c) the fenced area around a house and the immediately adjacent posted fields. (d) the fenced area around a house and anywhere from which the house can be seen. Because this tower bill really only affects hams living in rural areas, this amended statement should cover them. This wording was presented by our Colorado ARRL State Government Liaison Robert Wareham, NØESQ with assistance and support from the ARRL’s Legal Counsel, Chris Imlay and ARRL’s Regulatory Staff Administrator, Dan Henderson. Locally, we went to the State Legislators and gathered Bi-Partisan House and Senate support to our proposed wording to amend the Bill as worded above in red. (c) GUY WIRES MUST HAVE A SEVEN-FOOT LONG SAFETY SLEEVE AT EACH ANCHOR POINT THAT EXTENDS FROM THE ANCHOR POINT ALONG EACH GUY WIRE ATTACHED TO THE ANCHOR POINT. (3) ANY TOWER THAT WAS ERECTED PRIOR TO THE EFFECTIVE DATE OF THIS SECTION MUST BE MARKED AS REQUIRED BY THE PROVISIONS OF THIS SECTION WITHIN ONE YEAR OF THE EFFECTIVE DATE OF THIS SECTION. ANY TOWER THAT IS ERECTED ON OR AFTER THE EFFECTIVE DATE OF THIS SECTION MUST BE MARKED AS REQUIRED BY THIS SECTION AT THE TIME IT IS ERECTED. (V) STREET LIGHTS ERECTED OR MAINTAINED BY THE DEPARTMENT OF TRANSPORTATION. (b) NOTWITHSTANDING PARAGRAPH (a) OF THIS SUBSECTION (4), THIS SECTION APPLIES TO TOWERS OR POLES WITH A PRIMARY PURPOSE OF PROVIDING PRIVATE MOBILE RADIO SERVICES OTHER THAN COMMERCIAL MOBILE DATA SERVICE AS DEFINED IN 47 CFR 20.3. (5) ANY PERSON WHO VIOLATES A PROVISION OF THIS SECTION AND A COLLISION WITH THE TOWER AT ISSUE RESULTS IN THE INJURY OR DEATH OF ANOTHER PERSON IS GUILTY OF A CLASS 2 MISDEMEANOR AND SHALL BE PUNISHED AS PROVIDED IN SECTION 18-1.3-501, C.R.S. ANY PERSON WHO VIOLATES A PROVISION OF THIS SECTION AND THE VIOLATION DOES NOT RESULT IN THE INJURY OR DEATH OF ANOTHER PERSON IS GUILTY OF A MISDEMEANOR AND SHALL BE PUNISHED BY A FINE OF NOT MORE THAN TWO HUNDRED FIFTY DOLLARS. SECTION 3. Act subject to petition – effective date. This act takes effect at 12:01 a.m. on the day following the expiration of the ninety-day period after final adjournment of the general assembly (August 6, 2014, if adjournment sine die is on May 7, 2014); except that, if a referendum petition is filed pursuant to section 1 (3) of article V of the state constitution against this act or an item, section, or part of this act within such period, then the act, item, section, or part will not take effect unless approved by the people at the general election to be held in November 2014 and, in such case, will take effect on the date of the official declaration of the vote thereon by the governor. The owners of certain Amateur Radio towers have a friend in FCC Commissioner Michael O’Rielly, who feels that tower-marking provisions required under the FAA Extension, Safety, and Security Act of 2016, now Public Law 114-190, “could use tweaks.” In a March 10 blog post, O’Rielly expressed his belief that thousands of tower owners in the US could face expensive, unnecessary retrofits resulting from the law’s unintended consequences. The new FAA law would impose additional marking requirements for a small number of Amateur Radio towers, however. O’Rielly said §2110 — the section of the new law that requires improved physical markings and/or lighting on towers of between 50 and 200 feet — is too broad. O’Rielly said that §2110 appears intended to address dangers to small, low-flying aircraft, such as crop dusters, from temporary meteorological testing towers (METs), among others, but that if implemented literally, “the provision will force expensive retrofits to potentially 50,000 existing towers,” including cell and broadcast station towers and all new towers meeting the law’s broad definition, “all with little gain to air safety,” he said. The law instructs the FAA to enact rules similar to state-level statutes now in place that are aimed at improving aircraft safety in the vicinity of METs set up in rural areas. In the wake of fatal crop dusting aircraft collisions with METs, often erected on short notice, the National Transportation Safety Board (NTSB) recommended in 2013 that states enact laws — sometimes called “crop duster” statutes — requiring marking and registration of METs. The August issue of WorldRadio Magazine has a great article featuring Carole Perry’s (WB2MGP) Youth in Amateur Radio Forum this year at the Dayton HAMvention. This was Carole’s 25th year of presenting the Youth Forum and for that I congratulate her. Once again, one of the Youth Forum presenter’s was from the BARC Juniors (Boulder Amateur Radio Club). Gary Bailey, KDØTRO, age 10 was the youngest speaker at the Forum and he WOW’d them with his presentation on “Radio’s and Components I have built and tested”. See the link below on this year’s Youth Forum and the talented young hams. There is an excellent book called “From Crystal Sets to Sideband” written by long time Boulder Amateur Radio Club member, Frank Harris, KØIYE in 2002 and last updated in 2011. It’s a wonderful work of more than 400 pages starting with basic electricity working all the way up to design considerations for homebrew sideband rigs and beyond. Full of great photos, diagrams and humorous cartoons, it’s an entertaining read as well as a great reference sourcebook…and it’s FREE! KØIYE graciously and generously donated it to the public. The geomagnetic A-index is derived from the K-index, which quantifies disturbances in the horizontal component of earth’s magnetic field, using a 0-9 integer scale. K and A indices are indicators of ionospheric radio propagation conditions. A value of 1 on the K-index indicates calm and 5 or more indicates a geomagnetic storm. The K-index is derived from the maximum fluctuations of horizontal components observed on a magnetometer, during a three-hour interval. The A-index provides an average level of geomagnetic activity. Because K scale magnetometer fluctuations are non-linear, quasi-logarithmic, it is not meaningful to take averages for a set of K-indices. Instead, each K is converted back into a linear scale called the equivalent three hourly range “a”-index (lower case “a”). The daily A-index is an average of eight “a”-indices. For many years, local hams had access to an A-index published for Boulder, Colorado. Although the formal “Boulder A-Index” is no longer officially published, the magnetometer used to provide it is still operational. Below, are web links to current Boulder A-index data. Thanks Jack for all the help. Especially in crisis but also throughout the year as a steady companion of knowledge.